“Some job searches are more complex than others,” says Glenn Laumeister, founder and CEO of CoachMarket, an online marketplace where people can find and connect to career coaches. Laumeister offers an example: say you’re a CMO at an ecommerce company and another ecommerce company wants to hire you. They’ll pay you more and its a better environment. In that situation, it’s pretty obvious that you face a good opportunity. In situations like these, Laumeister believes job seekers at all levels can benefit from career coaches. 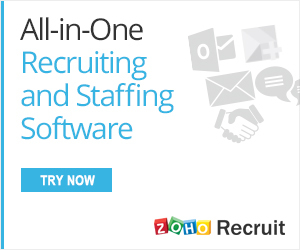 A special thank you goes out to this month’s Leadership Sponsor, Zoho Recruit. Please visit their site to understand how their quality services can elevate your recruitment practices. Most of us are familiar with the concept of workplace mentors and/or advisors, but Laumeister is quick to point out that career coaches perform a very different function. According to Laumeister, career coaches can discover job seekers’ strengths and teach them how to articulate those strengths to prospective employers, but they’re especially adept at helping job seekers understand their weaknesses. Of course, communicating someone’s flaws in a constructive way requires a deft touch. The best career coaches can turn weaknesses into opportunities for growth. “They’re trained in how to communicate it to the candidate in such a way that the candidate doesn’t get defensive; they don’t put up a wall, but rather they embrace that change and start to work on addressing those issues,” Laumeister says. “Frankly, if people can afford it, I think everyone would benefit from [career coaching],” Laumeister says. But not everyone has career coaching in the budget. So, who really needs to set aside the money and invest in a career coach? As mentioned above, job seekers who are considering riskier moves might want to get in touch with a career coach for extra guidance. 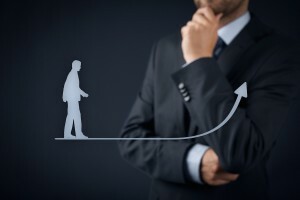 Laumeister also believes that career coaches are an especially good idea for young candidates who are entering the workforce for the first time. How Can You Find One? Laumeister believes the Internet has made tracking down the right career coach much, much easier than it used to be. “Typically, in the old days, it was word of mouth: You asked a friend and they asked a friend and they knew a guy,” Laumeister says. Now, places like Laumeister’s CoachMarket exist. Job seekers can look through databases of coaches and find the ones who are best suited to address their specific needs. Laumeister stresses the importance of vetting career coaches before deciding on one. “It’s really important to follow a process, to find someone you’re comfortable with,” he says.